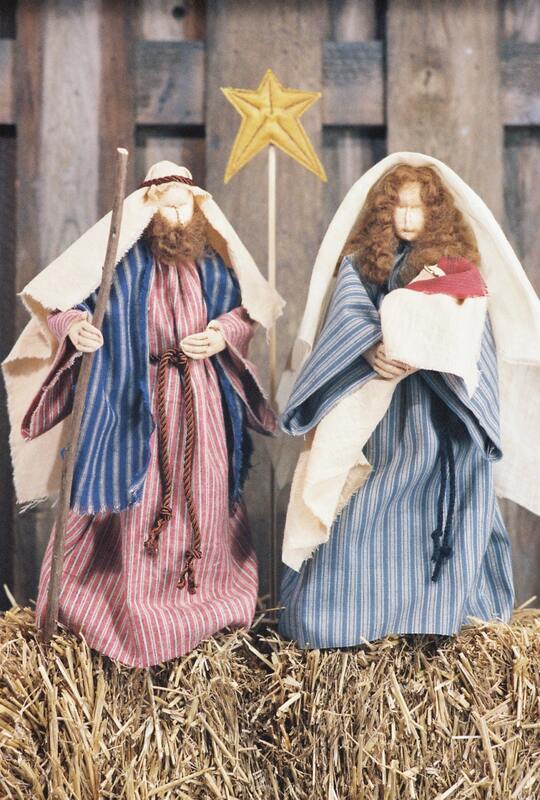 Mary, Joseph and Baby Jesus Nativity 13 1/2" Weighted Bottom, Free Standing Dolls. Bodies are muslin. Faces needle sculpted; hands are stitched. Hair and beard is wool. Instructions also included for star on stand. Easy to make. Makes for a very special Christmas gift. Instant PDF download includes easy to follow instructions, all doll patterns, clothing patterns and a complete suggested materials list. Just as pictured! Thanks for fast delivery!